We are delighted to announce that we have recently undergone our second inspection with the outcome being assessed as "Good". Once again we pay tribute to everyone that is involved in Karrek's work and vision - no matter how small. What we have achieved is a team effort & we have together laid another part of the foundation so that we can go from strength to strength - building something special now & for the future for the people of Cornwall. A very big thank you to everyone concerned. Karrek Community CIC is pleased to announce that it will be starting a new initiative which will provide support for vulnerable people in the St Austell area. Paul Ashton CEO says " I am delighted that we will begin this new area of work and we are currently recruiting for new staff. We are fully aware of the great need that there is in this area and we hope to be able to play our part in meeting the current support needs for vulnerable people". 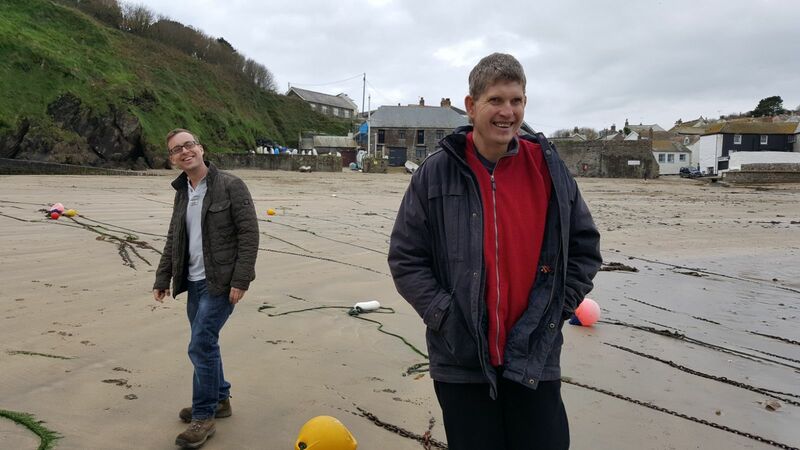 Karrek Community continues to provide a range of different support services across Cornwall and has a core focus on people who require personal care and additional support mechanisms to assist them to live as independently as possible. For more information about working in this new initiative click the button below. Karrek Community CIC (“Karrek”) has received an investment of £50,000 from the Resonance Health & Wellbeing Challenge Fund, an impact investment fund focusing on social enterprises in the South West. Karrek is a domiciliary care agency providing home care support for vulnerable people across Cornwall. Its main aim is to ensure that people receive the help they really need to help them in their daily lives – not what others think they need. This “person centric care” is what makes Karrek stand out in the delivery of support and care – they start with the individual and then design the package around the person. Currently the service offers an “outreach” provision from its main base in St Austell. The investment from the Fund will help them embed hubs in local communities where they will be able to offer a more responsive, effective and efficient service to those needing their help. Increasing their impact on local communities through better integration. 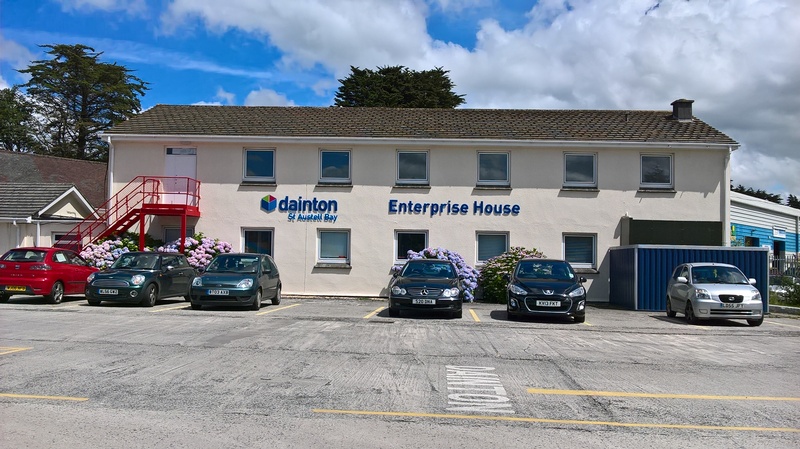 This investment in staff to assist in the development of local office hubs based across Cornwall, follows a successful pilot at Karrek’s Redruth site. The scale up phase will run over three years with four hubs being developed in year one, followed by a roll out of a further four hubs in the following two years. Each hub will have a team leader and four staff members. Karrek’s person-centred approach, is delivered through a process of detailed care planning so that each individual can determine their required outcomes. This means a team member always meets with the individual prior to starting a package of care, to understand how they wish to be supported (or how their family wishes in the case of the individual not having capacity). Karrek then designs the care package around their needs, desires, life goals and aspirations. This approach is highly valued by statutory agencies, professionals and individuals who feel that they have a greater level of control over the support they receive. The bespoke nature of the Karrek approach does take slightly longer, and hence Karrek is not the most price sensitive supplier in the market, but this is understood and valued by the people they work with, and Karrek has found its approach has enhanced their reputation and supports the organization’s core value of empowerment to the individual. Ken is supported by Karrek and he says: “I like the Karrek staff because they help me to live the life I want. My support is agreed with me and I go through my daily notes with the staff to make sure we don’t miss anything important. Veryan Young, Investment Manager at Resonance, said of the investment: “Karrek is run by an incredibly experienced couple who have worked in the care sector for many years. Although Karrek only contacted us about six months ago, we have been able to push forward from introduction to investment because of their focus and skills. Resonance was immediately impressed with Karrek’s innovative model and their successful track record over a short period of time and investment from the Fund will enable them to deliver a five-fold increase in the number of beneficiaries they will be able to help and assist them in shortening their waiting list. “In addition, these local hubs will be staffed by people who can offer local knowledge of what is available in that locality – goods and/or services, groups, volunteers etc., all of which could help their beneficiaries and will help create a greater bond with their local community. “We are also pleased that we were able to arrange for Karrek to receive help from the Access Foundation’s Reach Fund in April, which helped them improve their financial model and so secure the investment. Resonance would like organizations in Somerset, Devon, Cornwall and the Isles of Scilly to get in touch with “big ideas” that improve the health and wellbeing of people and could be an effective challenge to the status quo with the right financial backing. Following our recent Care Quality Commission Inspection (November 2016) we are delighted to report that we have been assessed as achieving a 'GOOD' standard in all areas that were covered in the inspection. Paul Ashton CEO said "We delighted with the outcome of our first inspection and we put this down to the hard work and dedication of our skilled and dedicated staff team & I am delighted for them". We now have the challenge of maintaining and improving the standards that we have achieved in the future. We are delighted to announce that we have moved our main office to St Austell from immediate effect. We are so thankful that our work has increased significantly over the past year that we needed to find slightly larger office. We are sharing the building with several other small companies and we are looking forward to working alongside them in the future. We have decided to keep a presence at the Elms In Redruth because we have a team of staff that work in that area. Our new address and telephone number are displayed on each page of this site. 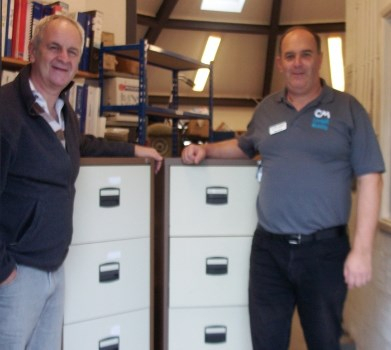 Karrek was delighted to receive a very kind donation of 3 filing cabinets from Cornwall Mobility. The timing for Karrek was brilliant as we are building our office base we needed some locked cabinets for confidential materials. Cornwall Mobility were undertaking a reorganisation and the cabinets were surplus to their requirements. Cornwall Mobility provide a wide range of equipment and advice for people who require assistance with mobility issues and independent living. They are located on the Royal Cornwall Hospital campus at Treliske in Truro and have 22 dedicated, highly experienced and committed staff members who specialise in the multiple facets of mobility and independent living. Their centre includes a showroom, for independent living and mobility equipment, and extensive workshop facilities & have adapted vehicles available for assessments and driving tuition. There is also a large conference room available for hire. They are a members of Driving Mobility (Forum of Mobility Centres) as well as the British Healthcare Trades Association. Our thanks to the Cornwall Mobility Team for this kind Donation - we really appreciate it.